Wildlife film watchers will be very familiar with the images captured by remote cameras all over the world. Whilst we don’t have ready access to Serengeti wildlife, Landmark also uses remote cameras to monitor ecological activity at our clients’ sites. It is an extremely useful tool for verifying field signs and monitoring movements of species, such as badgers and otters, that are sensitive to the presence of humans and active when people are not usually present on site (crepuscular or nocturnal species). Images gathered can vary from a murky night time shot of a badger appearing from a tunnel, to the family cat or dog investigating the camera, to human intruders who should not be on the site at all. 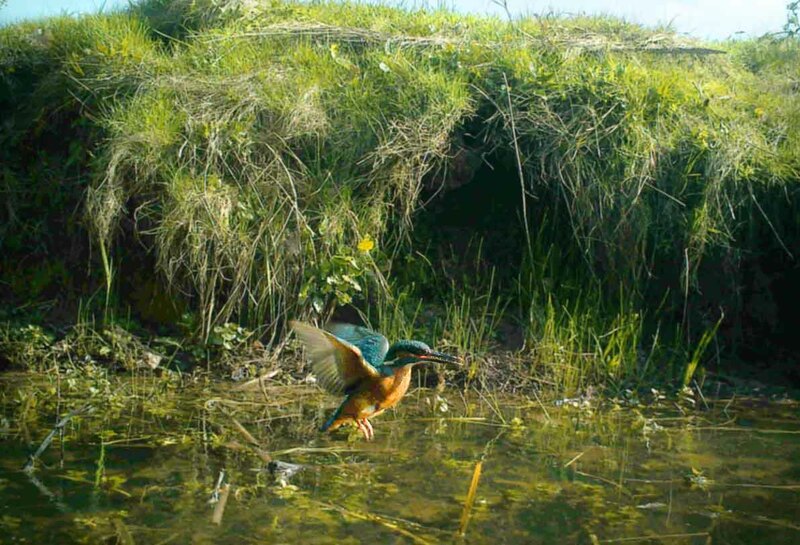 Occasionally the camera manages to create an image worthy of a human wildlife photographer, such as this recent image captured whilst monitoring a kingfisher nest in Bristol.